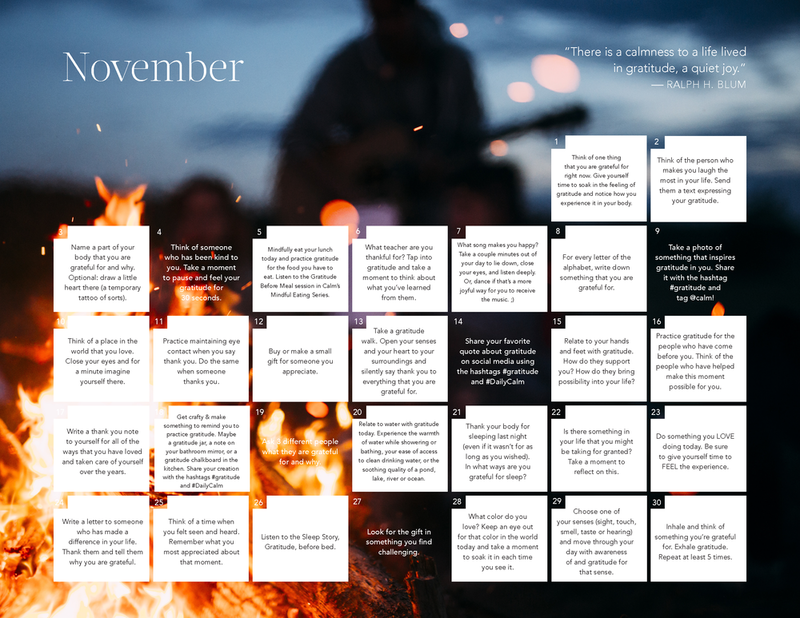 Daily challenges to deepen your mindfulness practice and learn more about yourself. 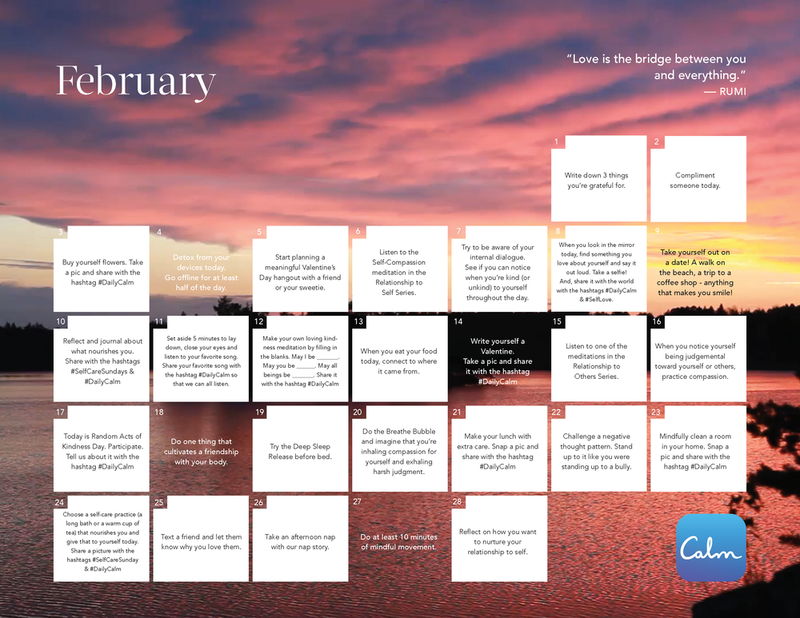 Click on any calendar to learn more and download. Whether your 2019 is about prioritizing sleep, exploring meditation or changing a habit, these journals will help you discover the small, doable shifts that will add up to more profound changes. 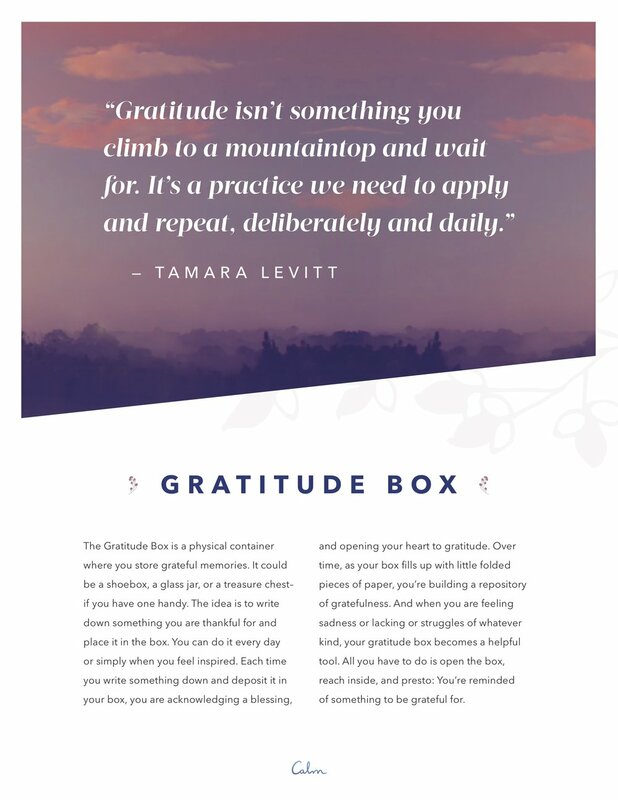 We created this toolkit for you to explore some additional gratitude exercise sand practices offered by Tamara Levitt. As she recommends, try different ones, experiment to see what works, and forge a daily habit of expressing and feeling gratefulness. Enjoy! Use this journal to reflect on the principles of performance presented in Jason Kidd’s Calm Masterclass, Peak performance. 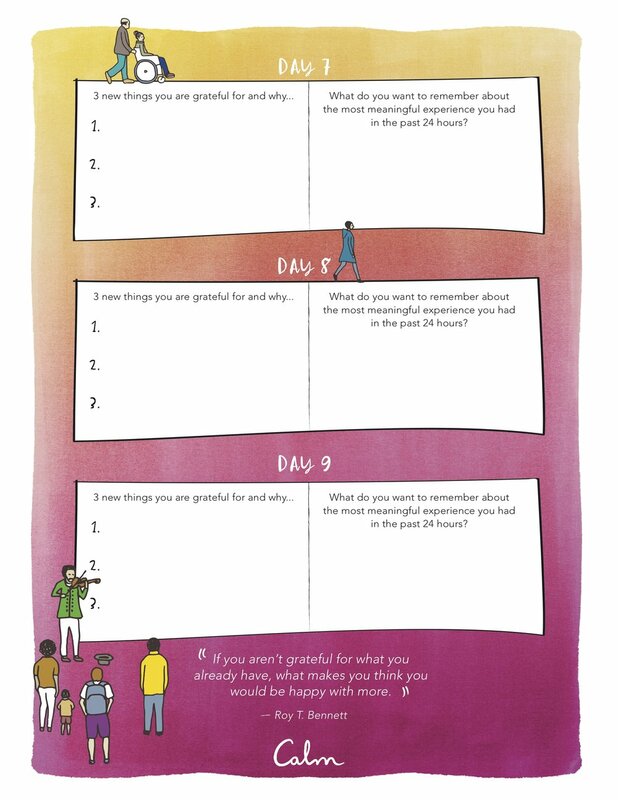 Use this journal to help you integrate the happiness habits outlined in Shawn Achor’s Discovering Happiness Masterclass. 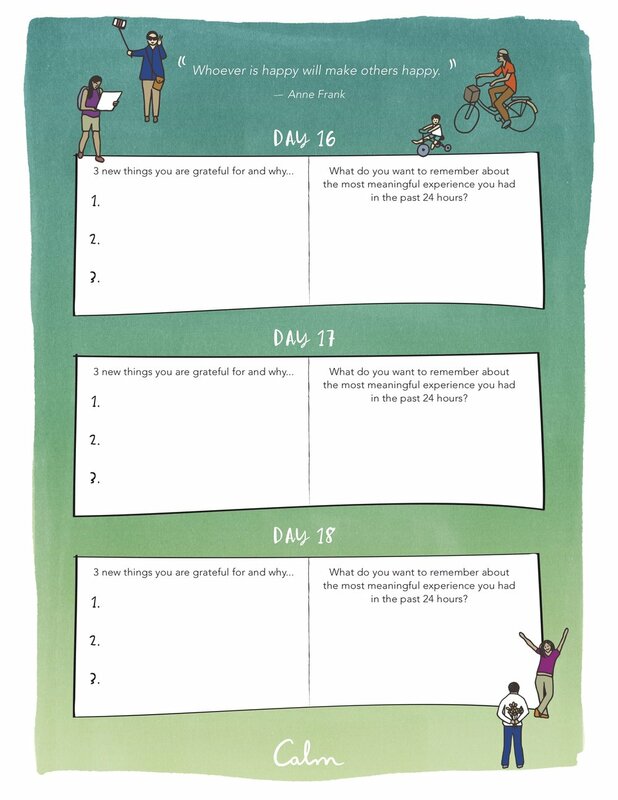 Use this journal as a tool to reflect on the teachings and exercises presented in the Creative Living Beyond Fear Calm Masterclass. Download the creative living journal here. Explore and shift your relationship with food with our Mindful Eating Journal. 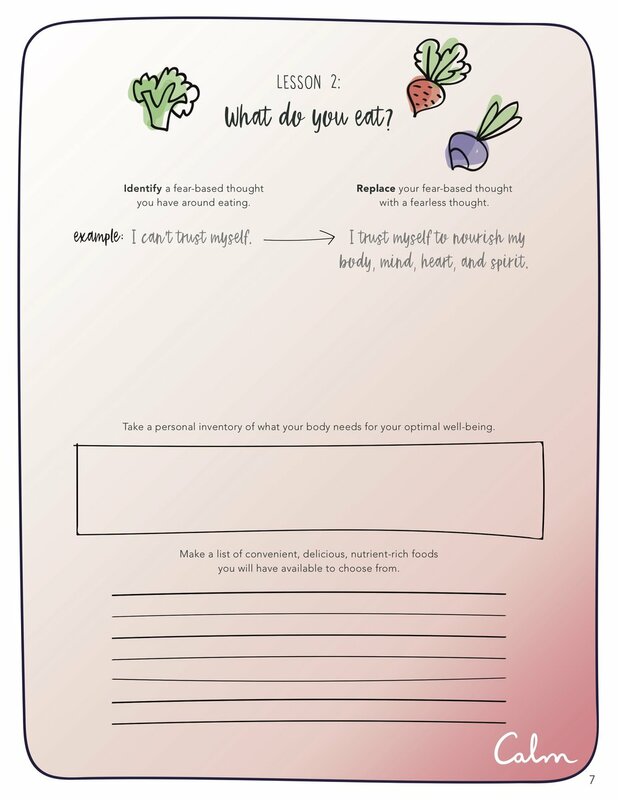 Learn more about our mindful eating journal here. 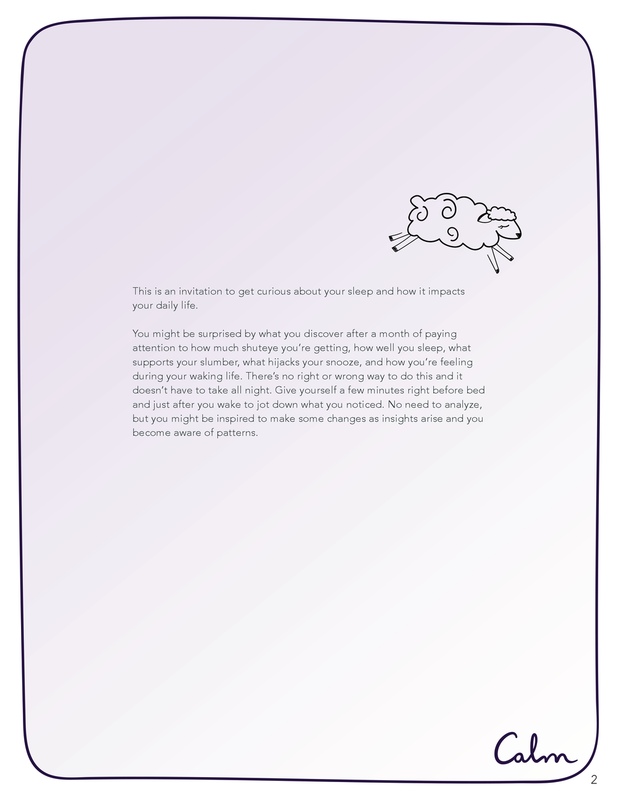 Explore what supports your slumber and what hijacks your sleep. 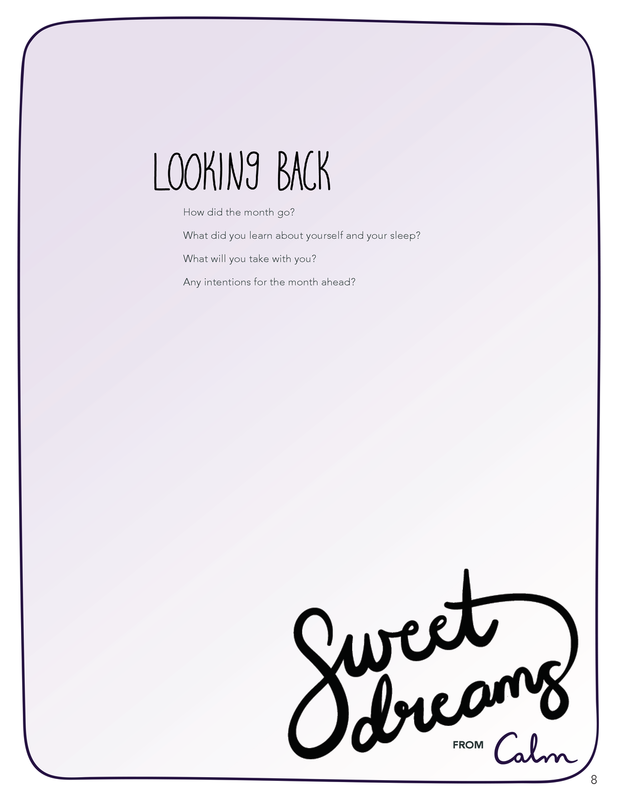 Download the sleep journal here. 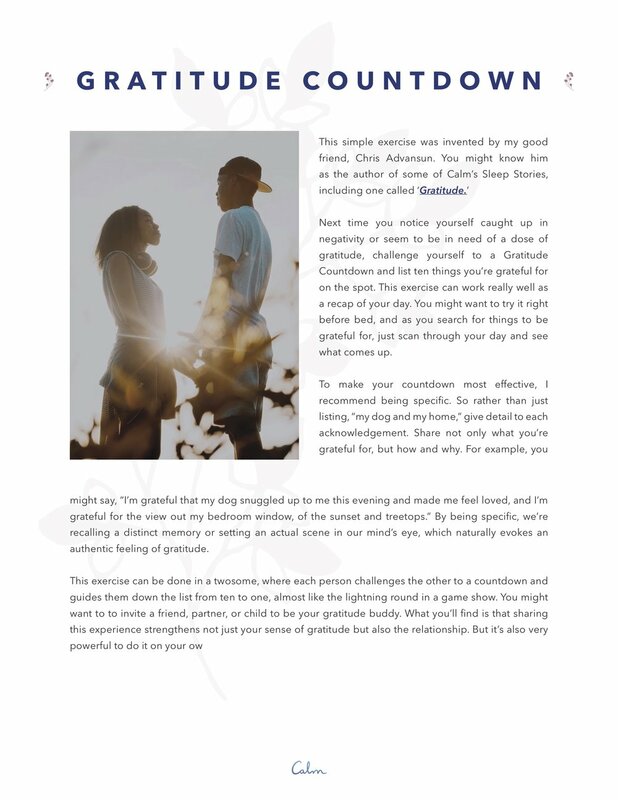 Writing prompts for reflection, contemplation and gratitude. Bonus pictures to color mindfully! 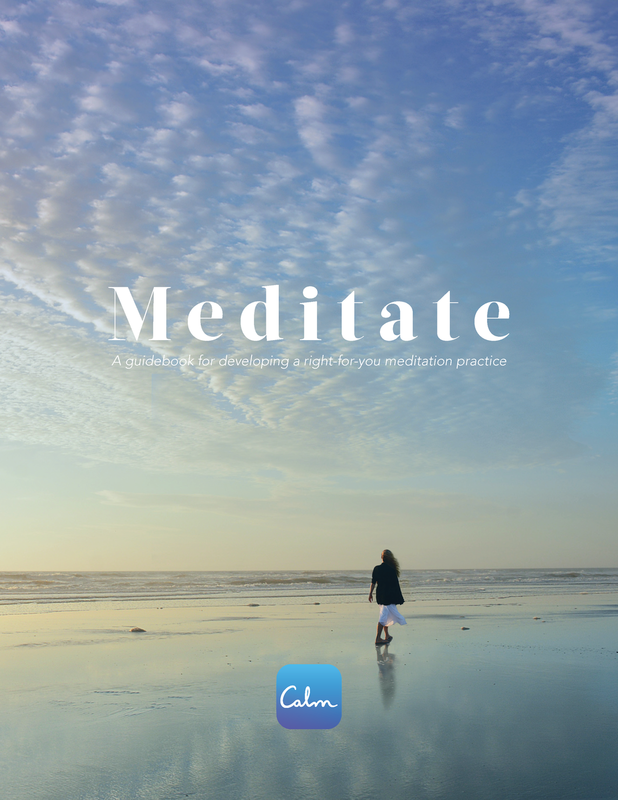 Learn more about Calm's Mindfulness Journal here.